Hitari: Free Wii U Game Offer from Nintendo! 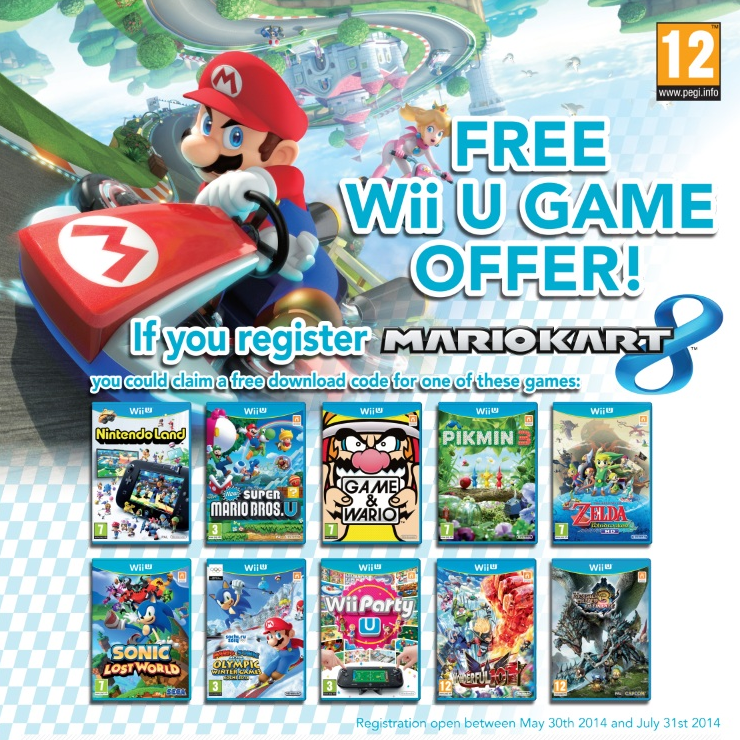 Nintendo just announced that they will be offering a FREE Wii U Game for any copy you buy of Mario Kart 8 on Wii U. If you register your Mario Kart 8 Wii U game with Nintendo, you could then claim a free Download code for any one of 10 games below- absolutely free. Full redemption details are below. This offer will also be amplified within the Nintendo Mario Kart 8 media campaign that will also feature TV activity around launch towards the end of May.